Dozens of Norwegian nationals rallied on Tuesday outside of the Foreign Ministry in Oslo to protest Israel’s detention of activists onboard a ship sailing to Gaza in an attempt to break the siege. 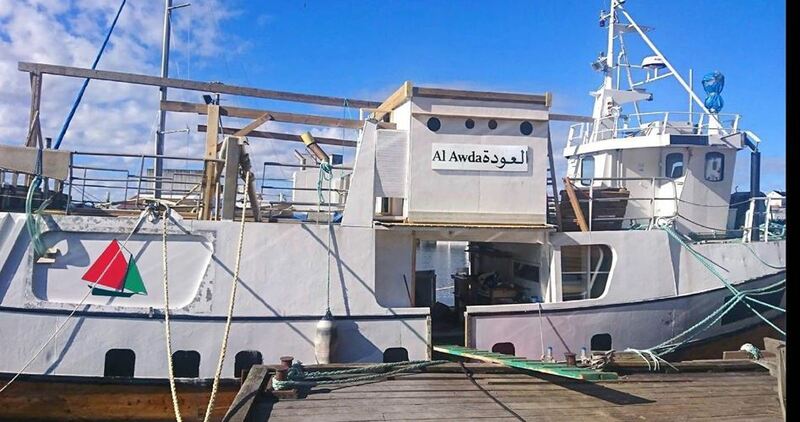 The ship, intended to be offered as a gift to Gaza’s fishermen, set sail from Norway a couple of months ago until it disembarked off Gaza’s seashore. All activists onboard were detained by the Israeli navy. On Sunday, Israel’s naval forces intercepted and hijacked the anti-siege vessel bound for Gaza and towed it to Israeli seaport of Ashdod. 15 activists onboard the ship were arrested. UK PM to arm savage Syrian insurgents?